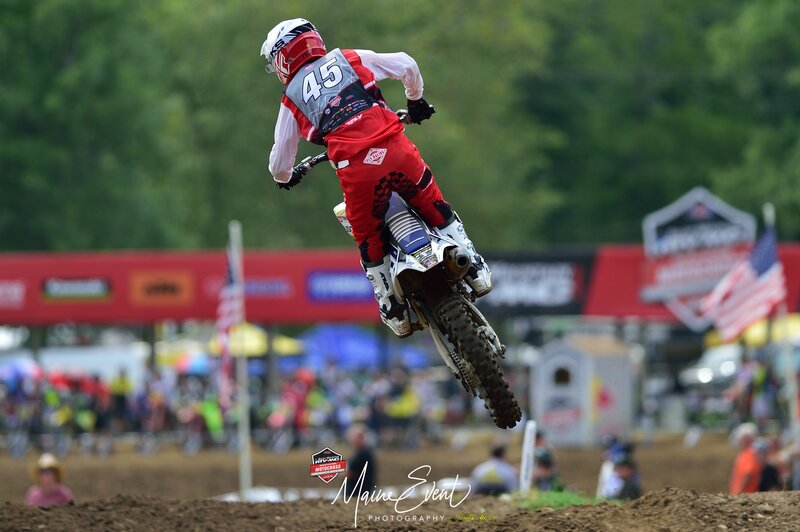 After testing Wiseco Racer Elite pistons in 250cc four-strokes at Loretta Lynn's and in Arenacross, Wiseco rider Scott Meshey has recently moved up to a 2018 Husqvarna FC350. We asked him for full feedback and his honest opinion on the Racer Elite's performance throughout the riding he's been doing, and this is what he had to say. Wiseco Racer Elite pistons feature an industry-first, racing design. Get all the details on Racer Elite engineering HERE. 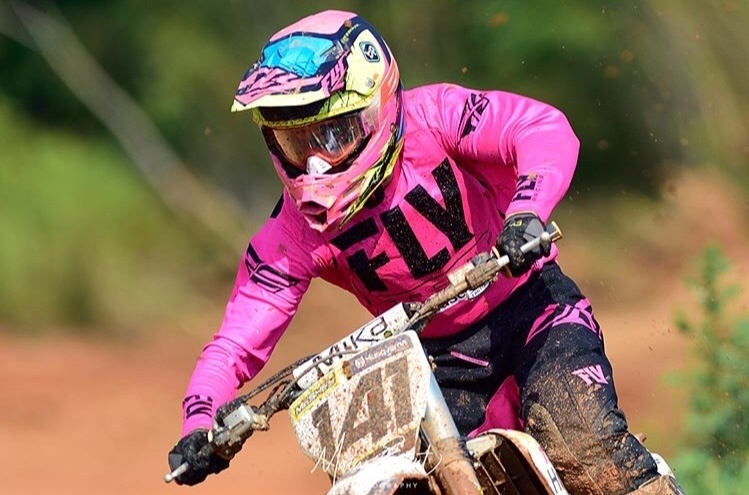 "If you follow the Wiseco brand and the blog page, you’ll know that I have previously written about the Racer Elite piston in a 2017 Kawasaki KX250F for the Loretta Lynn’s Amateur National Championship, a 2018 Husqvarna FC250 for the pro Arenacross series at Greensboro and Florence, and in the amateur Supercross events at Tampa and Atlanta. 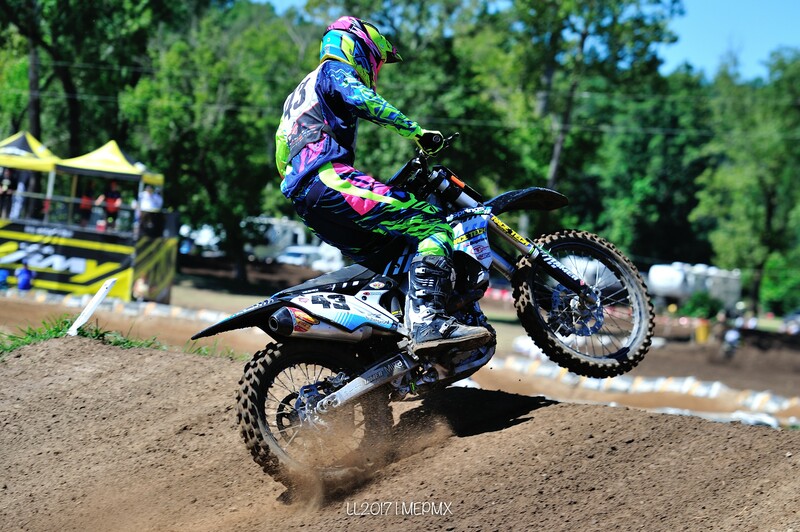 Meshey has previously tested the Racer Elite piston in both a KX250F at Loretta Lynn's and an FC250 in Arenacross. Before installing the Racer Elite in my FC350, I put approximately 30 hours on the motor with a full FMF exhaust system, a Twin Air Powerflow Air Filter Kit, and race gas on occasion. Long story short, I had a very good understanding of the power the bike delivered and where it could use a little bit of help. Before installing the Racer Elite piston, Meshey felt the FC350 was a solid base to start with. The 350 itself is a remarkable bike, offering horsepower that comes up just short of a 450, but is nimble, responsive and has the versatility that almost mirrors a 250. My personal opinion, I think the 350 has a consistently smooth bottom-end, along with (what seems to be) signature “it pulls forever” Husky top end. Additionally, I feel as though the 350 has a weak spot in power around the mid area that feels a little flat compared to rest of the curve. As someone that is transitioning into pro ranks, I demand a lot from the power delivery of my bikes. While the smooth curve is great because it is manageable, having a stronger “in an instant” response for a number of situations, including starts, is desirable in my book. 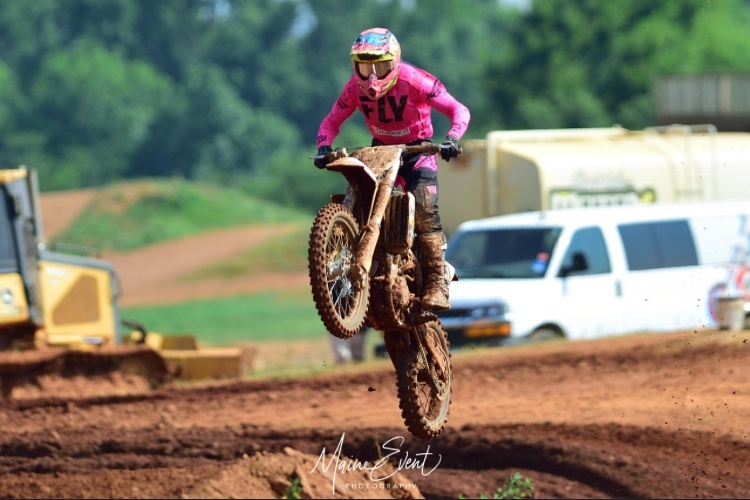 I was fortunate to test the difference of stock versus the Racer Elite Piston while training in a variety of different approaches leading up to Loretta Lynn’s, as well as the amateur national championship for Open Pro Sport. 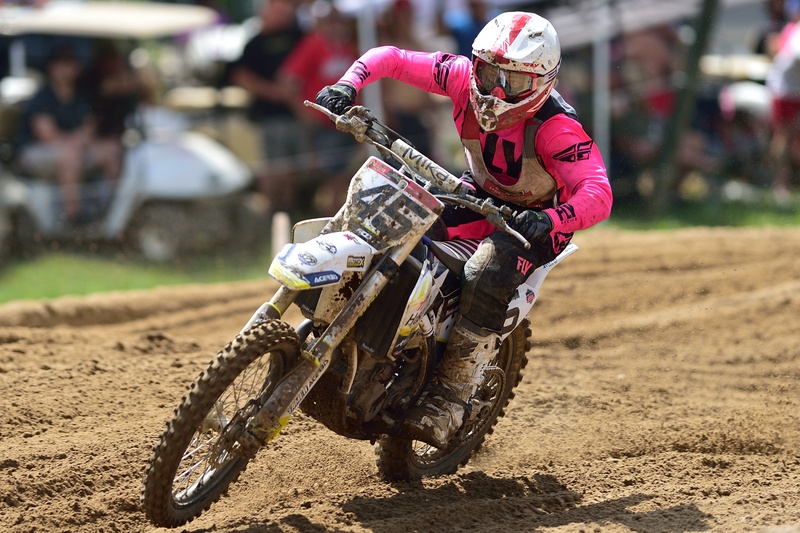 Contrary to usual, Loretta Lynn’s was surprisingly hard packed in most areas of the track, extremely rough as usual, but there were quite a few spots that were just plain hard and could’ve been blue-grooved if not for the constant track work. Training at Moto X Compound meant a clay/sawdust mixture ripped deep every morning and even a trip to the deep sands of Echeconnee MX. After putting a good amount of time on the Husky, Scott felt the FC350 had somewhat of a flat spot in the mid-range, and wanted a little more of an aggressive hit on the bottom. I want to stress to you all that as a writer, it is the etiquette and standards of the position and my own moral standard to not mislead a fellow racer or consumer. The 2018 Husqvarna FC350 with the mods I disclosed and a Wiseco Racer Elite piston, makes for a VERY impressive machine! Truthfully, not only do these mods make the bike the fastest I’ve ever ridden, but I truly believe that it creates a scenario for the Husky to be even more enjoyable to ride because of how the piston complements the natural power curve and picks up where the stock lets off. The addition of power is noticeable! First thing I noticed after the piston was installed was that the bike sounded just plain mean compared to stock. Next, I noticed the bike had a bit more to offer as soon as you twisted the throttle; regardless of where in the RPMs it revved, the bike woke up and came alive as I cracked the throttle open. This became extremely evident when I was a gear too high in a corner at Matt Walker’s Moto X Compound, that, in my humble opinion, is notorious for being super soft and has thick Georgia clay mud in the morning. 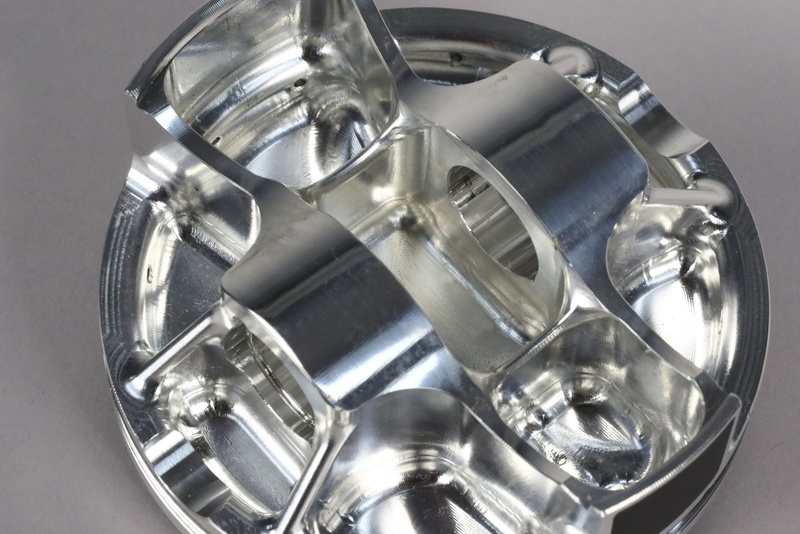 Get the full details on Racer Elite pistons features here. The Racer Elite equipped 350 absolutely powered through the thick corner in a gear too high with absolutely no issue, and the smooth power curve kept the bike steady and controllable while propelling the bike forward. The weak spot in the mid area I mentioned earlier was given a bit more muscle, and no longer felt like an awkward “should I shift down consideration?” in corners or areas of the track that demanded a sudden oomph of power, such as the ten commandments. The 1-2-3-4 rhythm from the very inside of the ten commandments was something that required a bit of calculation and guts, but the horsepower delivered! The availability of robust and responsive power made this combination possible. 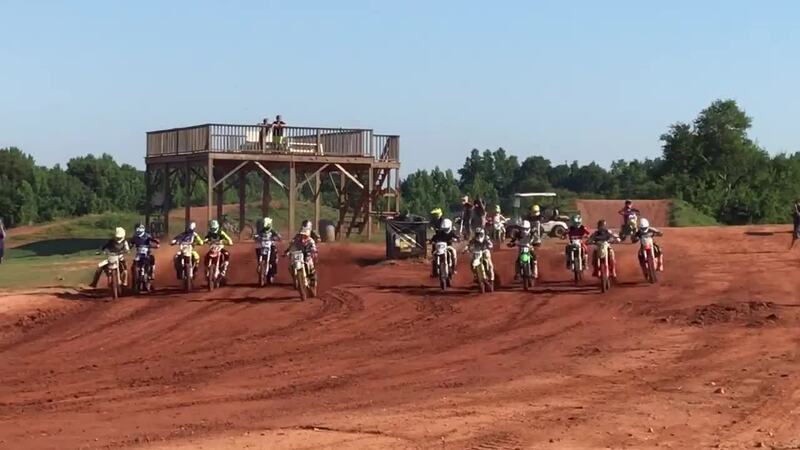 The sudden decision to switch up my rhythm with a triple, or to consistently jump the triple coming out of the “storyland” section of Loretta Lynn’s were effortless maneuvers. The addition of the Racer Elite piston gave Scott the confidence to power out of deep corners and switch up rhythm sections as needed. An additional advantage I noticed was is in the starts. With this bump in power, it was possible to be a more consistent and straight up obtain better starts. The smooth power and “never-ending pull” (especially in the higher RPMs), enhanced by the Racer Elite, made each gear feel as though it had more torque than before. Scott was able to pull more consistent starts aboard his FC350 with the additional power. Simply stated, the Racer Elite piston in the Husky FC35 truly complements the bike and its natural abilities to produce an experience of notable improvement for your racing endeavors. The Racer Elite enhances the bike’s natural muscle, which is one of the reasons why I love my FC350 and makes the bike so enjoyable to train on. I personally feel that the Racer Elite piston is one of the best mods for the Husqvarnas since they take mods so well without compromising their integrity. By itself, the Racer Elite is quite an amazing mod to the bike and helps to unlock the potential of the power to the bike as a whole. 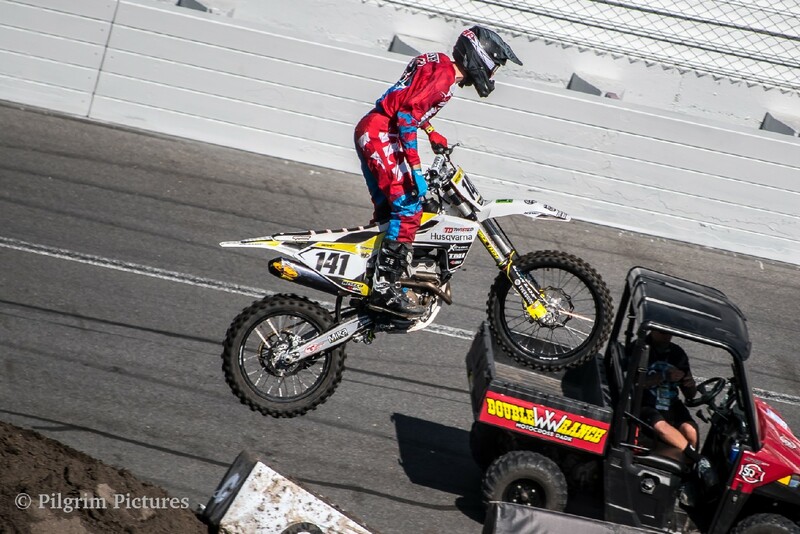 The piston boosted the overall performance and has provided the strength to be very competitive with a 450! Without any doubt in my mind, this piston provides bang for your buck and out-performed my expectations!"